In honor of the loss of another Disco legend, Robin Gibb. Today’s song of the day is “Stayin’ Alive” by the Bee Gees. R.I.P. 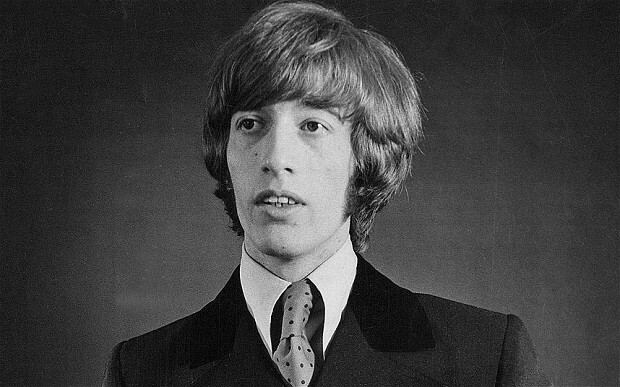 Robin Gibb. In honor of the passing of the Queen of Disco, Donna Summer, today’s song of the day is my favorite song by her, “Last Dance”. R.I.P. Donna Summer. This entry was posted in Music, Song Of The Day, Video and tagged Disco, Donna Summer, Last Dance, Music, Queen of Disco, R.I.P., Song Of The Day, Video. Bookmark the permalink. The Queen of Disco, Donna Summer passed away today, after losing her battle with breast cancer at 63 years old. She was without a doubt, the biggest star of the Disco era. Some of her hits include “Last Dance”, “Bad Girls”, “Hot Stuff”, “She Works Hard For The Money” and many more and she is the first artist to have 3 consecutive double albums go to #1 on the U.S. Billboard chart. She is a music legend and her legacy will live on for a long time to come. Disco is what helped to shape modern Pop music and without Disco and her as the most influential artist of the genre, music would have been very different over the course of the past 40 years or so and on. 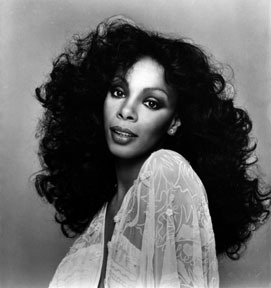 I grew up listening to her songs with my Mother, who was a big Disco and Donna Summer fan growing up. R.I.P. Donna Summer. This entry was posted in Death, Music, News and tagged Bad Girls, Billboard, Disco, Donna Summer, Hot Stuff, Last Dance, Music, Pop, Queen of Disco, R.I.P., She Works Hard For The Money, U.S. Billboard Chart. Bookmark the permalink. Today’s song of the day is Jamiroquai’s “Cosmic Girl”. It popped into my head today because I’ve been addicted to the T.V. show, “The Universe” on History and H2. It is such an interesting show, explaining the wonders, vastness, extreme beauty and ridiculous amazingness of the universe. We are ceritanly not alone in the universe(s). There is a more life in the universe than we can even wrap out heads around. And it’s likely that a multiverse exists, which infinitely multiples our universes infiniteness. Watch the show and see what I’m saying. In the mean time check out the song. It’s from my favorite Jamirquai album. This entry was posted in Music, Song Of The Day, Video and tagged Cosmic Girl, H2, History, Jamiroquai, Music, Song Of The Day, The History Channel, The Universe, Video. Bookmark the permalink. Today’s song of the day comes from the “real” winner of season 1 of The Voice, Dia Frampton, with the live performance of her song “Don’t Kick The Chair” featuring Kid Cudi, from the last episode of The Voice. She may have only come in second last season, but she definitely turned out to be the winner in the end, selling more records than the actual winner, Javier Colon and showing a lot more potential as a current, popular artist. Check out the live performance. What do you think? Who do you think deserved to win season 1? Who do you think should win season 2? This entry was posted in Music, Song Of The Day, Video and tagged Dia Frampton, Don't Kick The Chair, Javier Colon, Kid Cudi, Music, Song Of The Day, The Voice, Video. Bookmark the permalink. Today’s song of the day is Sara Bareilles’ “Love Song” another old song that I’ve been hearing a lot of, all of a sudden. I love this song and Sara Bareilles as an artist. She is so talented and I hope to continue to hear a lot more great stuff from her, in the future. This entry was posted in Music, Song Of The Day, Video and tagged Love Song, Music, Pop, Rock, Sara Bareilles, Song Of The Day, Video. Bookmark the permalink. Today’s song of the day is my favorite Beastie Boys’ song, “Intergalactic” in honor of Adam “MCA” Yauch. 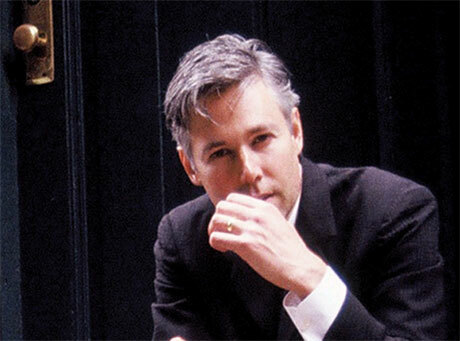 Adam Yauch A.K.A. MCA of the Hip-Hop trio, the “Beastie Boys” passed away today after an almost 3 year battle with Cancer, at the age of 47. The Beastie Boys were one of the most important, trail-blazing and influential Hip-Hop groups of the late 80s and early 90s. They were the first ever White Hip-Hop act, paving the way for Vanilla Ice, Eminem, Bubba Sparxxx, Asher Roth and others. Some of their hits include “(You Gotta) Fight for Your Right (to Party! )”, “No Sleep Till Brooklyn” and “Intergalactic” (my personal favorite). They made music up through the 2000’s, with their now final album as a trio, “Hot Sauce Committee Part 2” being released just last year. They were also just inducted into the Rock & Roll Hall of Fame last month. They are only the 3rd Rap act to ever be inducted. It’s great to know that he was able to be honored before his untimely passing. R.I.P. Adam “MCA” Yauch. Today’s song of the day is “Rize Of The Fenix” by Tenacious D, from their new album of the same name, which will be out May 15th. This is their first album since 2006’s “Pick Of Destiny”. Their first album (self-titled), which came out back in 2001, was so great and it brings back lots of memories. I hope the new album is just as good. What about you, are you down with the D? This entry was posted in Music, Song Of The Day, Video and tagged Jack Black, Music, Pick Of Destiny, Rize Of The Fenix, Rock, Song Of The Day, Tenacious D, The D, Video. Bookmark the permalink.